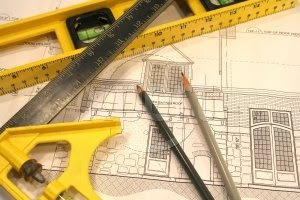 Planning a home renovation project is fun, but few people warn you about the disaster you'll live in until it's finished. Years ago, a project meant everything from the kitchen was now in my dining room. I've never considered saw horses as decorative objects, but there they sat in the middle of the living room. Let me tell you, living on a construction site gets old fast. Ah, when the work is done, you think, "it was worth it." The mess is soon forgotten as you gaze at the dazzling new kitchen. Appliances actually work. New cabinets provide the storage you've always desired. Yeah, I'd do it all over again. Writing a book is a lot like a home improvement project. You plan, brainstorm, gather the required materials, and get to work. The vision of a book with your name on it propels you. Excitement ripples through your fingers and onto the keyboard. So, don't let first, second, and even third-draft blues get you down. Keep learning, polishing, and you'll soon have a finished product. Maybe I'll actually hear an agent or editor say, "I like it. I want it. Write two more." Thank you Susan! I'm in the middle of editing a book for what seems like the hundredth time! Time does seem to drag! But it'll be so worth it when I have that polished, workable final draft! LOL That editor comment sounds like a dream! :-) This is great advice, since I'm in revising mode and it's tough work. Thanks Susan, I needed to read this today as I am busy renovating my WIP the next two months. Oh I hate it when I have to get rid of some perfectly written paragraphs! I'm in the same spot. In fact, I chopped an entire chapter last week. Ouch! When I think how many hours went into that chapter, it makes me shudder. For both of us, the end result will be a streamlined, well-written story. The editor comment IS my dream or maybe my prayer! LOL. It looks like we're all in that revision place. You're welcome. It's as much cheerleading for me as for all of you. I've lost count how many times I've edited this book. For me, I'm committing to pray for each of you and your writing. We need the Lord's wisdom and strength to accomplish HIS goals. What a great analogy! I am getting ready to polish some chapters this week. I always want it to be done yesterday, but it's so fun when I can look at it in the new and improved state. I asked my son, who is an animator, what his favorite part of the animation process was and he said, "Watching the movie." LOL! I remember a particular friend, who is a singer, talking about reaching that perfect note. Actors study and work for an Academy Award performance. We are definitely not alone. Thanks for the encouragement, Susan. I keep chugging along, but sometimes it feels like I'll never be finished with this novel. By finished of course I mean "saleable." Keep dreaming and praying, Susan. You're day will come. Like Jody said, I think I edited Surrender the Wind a hundred times...well not literally, but it seemed that way. After an acceptance, your book will go through at least three more edits. I don't think a lot of writers realize that. When you sign a contract, you roll up your sleeves once more to polish and refine, but with an editor at your side. That's what a good publisher does. Thanks for your encouragement. Last year, I came to the realization that no matter how much I edit, I'll be required to do more by a publisher. It helps us pre-pubbed authors when published authors open their hearts and share their struggles. Thank you again. Chugging along - that about describes the pace. LOL! So much for romantic dreams of the writers life - reality check here. I'm learning to deal with those realities and still maintain my passion for writing. I am at a standstill with everything. I have to finish the notifications and the acknowledgement about my dad. I am supposed to see a cousin from the northern part of the state tomorrow afternoon. I would like to be able to finish my crime novel by the end of July,if not then, maybe by the end of the year. There are times when writing has to take a back seat. When my husband was sick, I stopped work on my novel. However, I did find journaling helped me process my feelings. We'll be praying that things settle down and fall into place for you and your family. May He comfort you and give you strength.